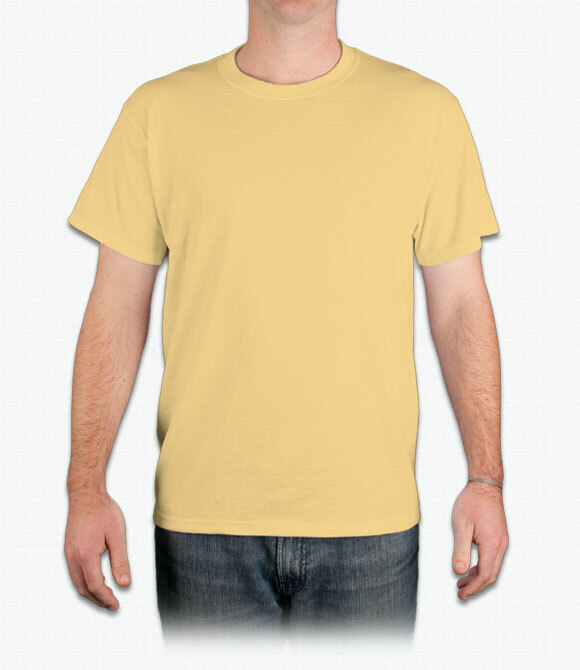 5.6 oz 50% cotton, 50% polyester preshrunk jersey. Oxford is 53% polyester, 47% cotton. Shoulder-to-shoulder taping; double-needle stitching throughout; seamless body for a wide printing area; 1x1 ribbed collar. Durable with a thin soft thin feel. Another great looking choice for your t-shirt needs. Standard fit, works well for all occasions. "Good quality, slight shrinage which can be expected from a cotton tee shirt." "Great quality. After many washes the shirts still look great and so does the ink/print. " "Jezees 50/50 shirts are one of the few low priced shirts that I've been able to find that fit nicely. The trend is to be oversized in the belly and I don't have that issue with these shirts. Medium has close to an 'athletic fit" on me (meaning it's not baggy) at 5' 11" 155lbs, athletic build. The shirts have a quality feel and are actually fairly heavy/thick. I'd call it medium weight. Almost a little too heavy for California 100 degree summer. I find that these 50/50 shirts shrink very little if not none at all. I haven't noticed a significant difference after multiple washings which is once reason I choose 50/50. Last, they are made in the USA which is rare to see."